The Government of Tanzania through the Ministry of Education, Science and Technology is currently implementing the National Skills Development Strategy (NSDS) to particularly address the issues on the current low skill levels of the workforce, the future demand for higher occupational skill levels in a more diversified and competitive industrial and service economy and the need to scale up and improve the quality of vocational training and technical education. The NSDS is a ten-year strategy (2016/17 – 2025/26) and its interventions are designed to have a transformative impact on the skills supply system for industries with high potential for growth and job creation. Tanzania Private Sector Foundation (TPSF) has been mandated by the Government to establish Sector Skills Councils (SSCs) for six selected economic sectors namely Agribusiness and Agro-Processing, Transport and Logistics, Tourism and Hospitality, Energy, Construction, and ICT. SSCs are expected to be platforms to promote public-private cooperation by way of collaboration with regard to skills development for the said sectors. SSCs are part of the governance structures of the “Education and Skills for Productive Jobs (ESPJ) Program for Results”, currently supported by the World Bank through the Ministry of Education, Science and Technology (MoEST). ESPJ Program for Results has been developed to address specific skills challenges as outlined in the National Skills Development Strategy (NSDS). The ESPJ addresses needs in respect of human capital as outlined in Tanzania’s National Development Vision 2025 (FYDPI & FYDPII). The strategy is closely aligned to the Education and Training Policy (ETP) 2015, as well as to other policies namely, the Integrated Industrial Development Strategy (IIDS) 2025, the National Employment Policy (NEP). 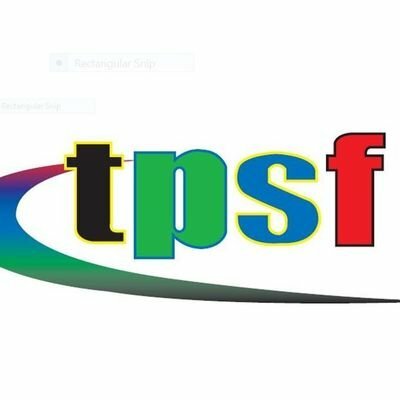 TPSF was formally incorporated under the Companies Act (Cap 212) as a company limited by guarantee on 4th November, 1998 for the purpose of promoting private sector-led social and economic development in Tanzania. As an apex and focal private sector organization (PSO), TPSF seeks to promote effective engagement with the government and other stakeholders on matters of policy development and ensuring sustainable provision of services to members. It acts as a common voice of the private sector to advocate and create an enabling environment for doing business and attracting investments. TPSF therefore commands significant influence and importance locally and internationally. It has a unique position as the government’s partner in policy and advocacy, public private partnership (PPP), high-level dialogue platforms and National budget. TPSF has thus stood tall and bold on many issues of national and sectoral importance. The Sector Skills Coordinators will provide support in the management of Sector Skills Councils. She/he is responsible for providing programmatic support in the coordination, planning, implementation, budgeting and reporting of Sector Skills Council programs and its respective linkages in the Employment and Skills for Productive Jobs Country Project. Support the Project Coordinator in managing the Specific Sector Skills Council at the Foundation. Develop and implement strategies, work plans and budget for the respective sector skills council. Identifying and prioritizing skills needs in the respective sector in collaboration with sector stakeholders. Support in developing industry skills strategies and plans to achieve priority goals and respective implementing Plans/Programs in line with the NSDS. Provide support in defining and revising occupational and competency standards, training programs and curricula in collaboration with stakeholders. Coordinate Public Private Partnership in training delivery with appropriate linkages to the SSC. Establish linkages with enterprise-based training institutions to promote entrepreneurial culture. Work closely with sector stakeholders on information and knowledge sharing on progress and results for the different interventions in the program. Work with media and communications activities to ensure visibility of Sector Skills Council and TPSF at the national level. Continuously monitor and evaluate Sector Skills Councils activities in close collaboration with the M&E specialist and the Secretariat. Prepare and review annual work plans in addition to monthly, quarterly and annual progress reports with regards to the roles of the respective Sector Skill Councils. Explore new areas for support that are in line with the NSDS Strategic objectives and advise accordingly. Any other related responsibilities that may be assigned by the SSCs Coordinator from time to time. University degree or Ordinary Diploma from a recognized academic institution in one or more of the following areas is preferred: Tourism Management, Tourism Marketing, Management or Business or related field with strong experience in Tourism and Hospitality Industry. All candidates must possess extensive experience in project planning and management, with sound knowledge of contemporary issues in the labor market and skills development. A mix of work experience in both public and private sectors would be an advantage. A self-motivated individual able to work both independently as well as part of a team. Strong analytical and advocacy skills. Good understanding of key national contexts as relating to skills development. Extensive experience in project, planning and management, with sound knowledge of contemporary issues in the labor market and skills development. Please send your well written Application Letter accompanied by your updated CV. University degree from a recognized academic institution in one or more of the following areas, preferably: An advanced degree in Civil or Structural Engineering, Architecture or other related Construction disciplines. University degree from a recognized academic institution in one or more of the following areas is preferred: Agricultural or Agriculture Economics, Agricultural Policy or related discipline with strong experience in the Agriculture and Agri-Business sector. The primary responsibility of the Procurement Manager is to arrange and handle procurement processes according to the Procurement Plan of the Project and ensure strict compliance with the procurement Guidelines of the World Bank and the Public Procurement Act, 2004 and its regulations, including usage of standard bidding/contracts documents as well as preparation of necessary reports for the Project Coordinator, the Ministry of Education, Science and Technology as well as TPSF. Assist PMU in producing all necessary reports for submission to the Ministerial Tender Board and the World Bank. Good knowledge of all concepts, principles and approaches to procurement, and of public procurement system, functions and practices, familiar with Public Procurement Act of 2004 with its associated regulations and Guidelines of various Development Partners. The Procurement Manager shall report directly to the TPSF Executive Director. The ideal candidate must be well organized, self-motivated, highly responsible and able to work in teams, analytical, conceptually thinking, ability to take risks and make independent decisions; ability to work unsupervised and under pressure; fluency in spoken and written English; and with good computer skills. All these positions will be recruited on a one-year renewal basis and receive an attractive salary commensurate to the level of skills and experience. The contract may be renewed contingent upon project budgeting and satisfactory performance evaluation. The Monitoring and Evaluation Officer will work under the overall guidance of the Director of Programs and Enterprise Development to oversee the planning and implementation of the Monitoring Framework of Sector Skills Councils (SSC) of the ESPJ. The primary responsibility of this position will be to oversee capacity development, implementation, and leveraging of program M&E systems and data, in close collaboration with Project Coordinator (PC), Sector Skills Coordinators and building Secretariat and partners’ capacity to use the system which among other things includes data collection and analysis and to inform ongoing program management so as to make program adjustments if necessary. Please send your well-written Application Letter accompanied by your updated CV. Through his Finance and Accounting team, maintain clear and up-to-date books of account that meet internationally accepted accounting principles and financial reporting standards. Train and provide technical support to the Secretariat and Sector Skills Coordinators and Finance staff in fine tuning their Financial Management systems for proper internal control systems and generation of the required financial reports. Regularly advise the Executive Director on financial issues through periodic reports and consultations and alert against any irregularity, lack of compliance, lack of adherence and problems whether actual or potential concerning the financial systems, operations, plans, accounting, audits, budgets and any other matter of a financial nature. Train and provide technical support to the implementing agencies’ managers in preparing the quarterly financial reports i.e. financial, procurement and physical progress reports for the project for submission to Project Coordinator and Ministry of Education, Science and Technology (MoEST). Facilitate all financial reviews of the utilization of funds and accounts by the Government of Tanzania internal auditors, External Auditors, the World Bank and other donors’ supervision missions and provide support on audit matters as directed by the Project Coordinator and donors from time to time. Maintain a working relationship and develop additional relationships with banks and financial institutions with the aim of securing the funds necessary for the operations of the organization, the attainment of its development plans and its investments. Evaluate financial trends and when necessary, recommend courses of action to correct budget imbalances. Act as a custodian of all Project Assets, both fixed and current. Possess an accounting professional qualification such as ACCA, CPA etc. At least five years working experience in finance, accounts, audit or related field. Five (5) years’ experience working on donor funded projects. The Director of Finance shall report directly to the TPSF Executive Director. University degree from a recognized academic institution in one or more of the following areas is preferred: Sustainable Energy, Energy Development studies, Economics or Engineering.